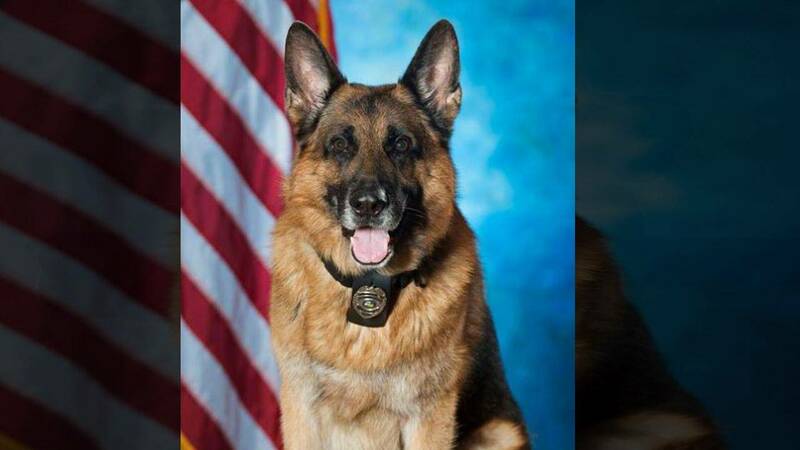 A K9 officer named Radar was honored as employee of the month for dragging a double murder suspect from his hiding place in a shed. The Crown Point, Ind., Police Department said Radar tracked Robert Stewart through cold and snow after he ran from officers responding to a call of two people being shot. Radar cornered Stewart in the shed and then dragged the armed man outside where officers said they were able to arrest him. Stewart has been charged with the murders of Ryan Halbe, 27, and his mother, Candy Halbe, 55. Radar's handler, officer Stanko Gligic, was also honored for his service. "We always train as hard as we can so we can be prepared for these situations," Gligic said. "I'll cherish this one for how well Radar did."